Never a dull moment with the Razor-Blaze Folding Knife, thanks to its innovative replacement blade system! Knife is 8"l. overall. 3.5 oz. Outdoor Edge Razor-Blaze Folding Knife, 3.5 Blade is rated 5.0 out of 5 by 52. Rated 5 out of 5 by buckman from Great knife! Yesterday I broke down an elk. deboned and the knife blade was still very sharp! after I washed the knife, I touched up the blade with crock sticks and it is ready for another! I know the blades are disposable, but no need to if they can be sharpened. Rated 5 out of 5 by Ken14 from Great knife This knife is a home run, once you use the knife with the replacement blades I doubt you will ever go back to a regular knife! A friend of mine from Montana can handle a knife and used this for the first time and was super impressed! 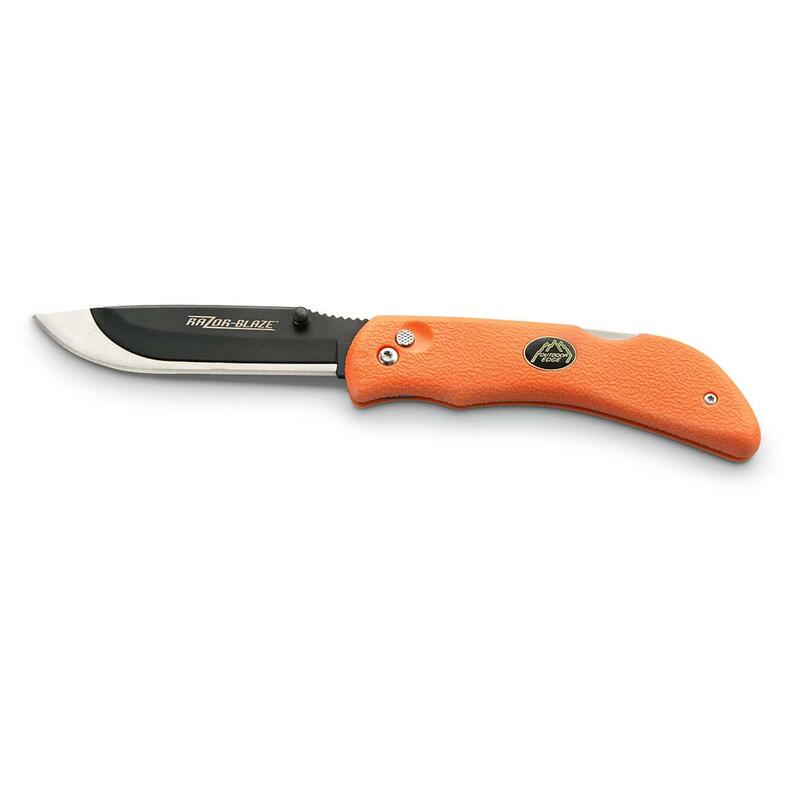 Rated 5 out of 5 by GGJ77 from Super sharp - great skinning knife This is a great knife for skinning. 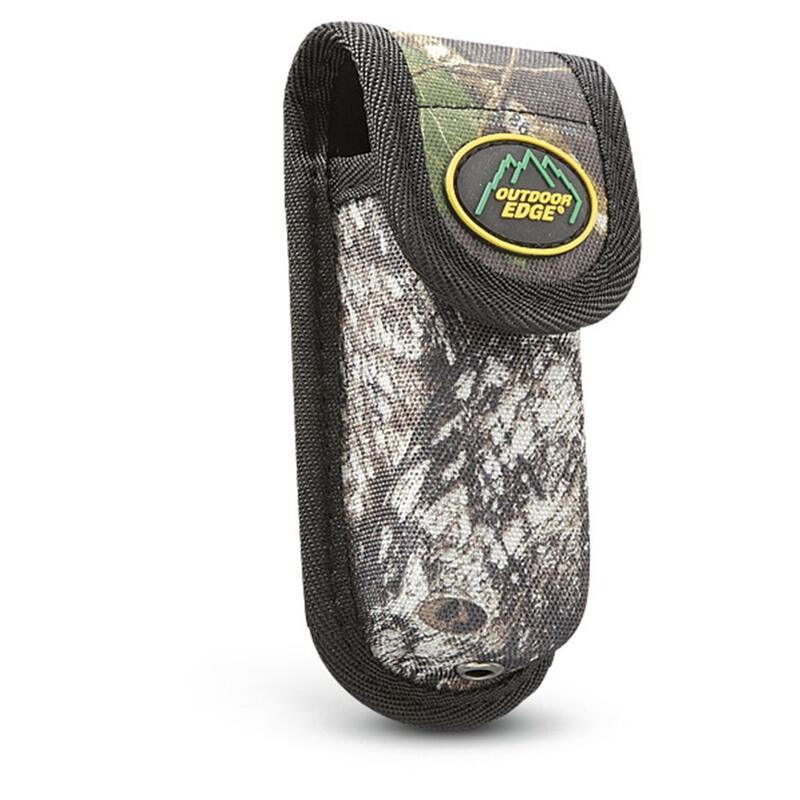 I have used it on over 10 deer so far this year and it outperforms my fixed blade knives I swore by before I started using this one. I replace the blade after each deer. The blades are extremely sharp so be careful. My son used mine and liked it so much he ordered one right after he washed his hands. I still use a stiffer fixed blade for the knuckle cutting and any twisting or heavy work. Still, this is a great knife idea. It is better than the thinner blade replaceable knives from a competitior (Gerber). Rated 5 out of 5 by bill223 from Haven't had the chance to use it yet but some friends have it and recommended it. Seemed to work great for them. Rated 5 out of 5 by djk3006 from great price an quality.. Rated 5 out of 5 by HolographicMonkey from Excellent knife. I like the hunting orange color, makes it easy to find if you set it down, also feels warm and less threatening. I also like how the replacement blades fit neatly into the carrying case so you will have them handy when needed.